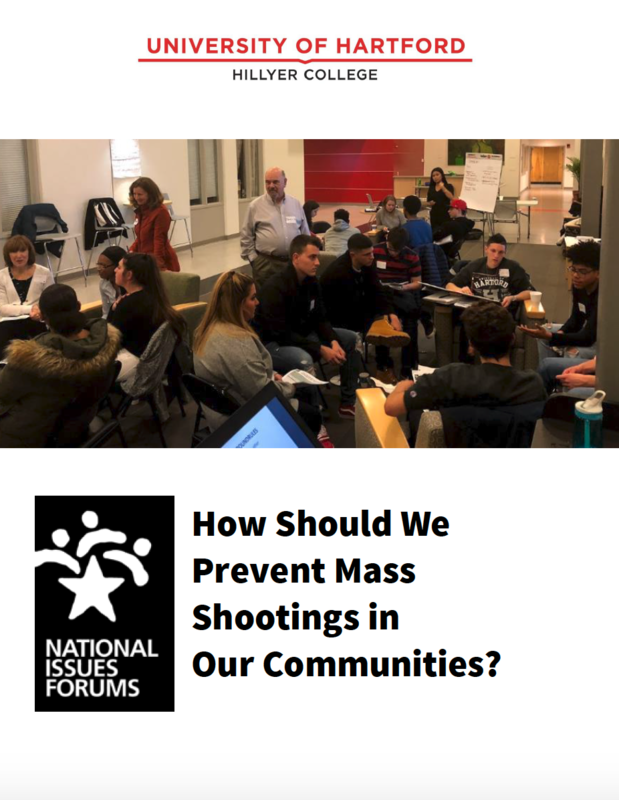 From the University of Hartford, West Hartford, Connecticut - A report on a December 6, 2017 forum "How Can We Stop Mass Shootings in Our Communities?" This 9-page report describes a forum that was held Wednesday, December 6, 2017 at the University of Hartforum in West Hartford, Connecticut. The forum was sponsored by the Hillyer College Dean's Office. The issue topic was How Can We Stop Mass Shootings in Our Communities?